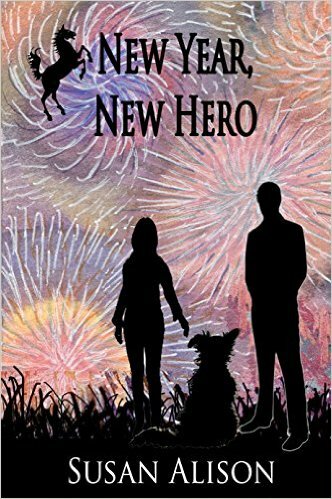 She dreamed of getting herself a new hero in the New Year. And a dog. She’d always wanted a dog. All Liz Houston wants is to keep her head above the financial white waters of her life. Somehow, though, other people, including ex-husband Hugh, repeatedly get in the way. Hugh just wants a quiet life and to be there for the people he cares about. Caring for Liz does not lead to a quiet life. Moocher, Liz’s Border Collie, wants to be where all the crumbs are, he wants to keep all his paws, but most of all he wants to keep Liz company as she rides the rapids of her life. Add in odd-shoe-wearing lodger Simon, Git-next-door, a lost brother, an illicit fortune stashed away decades ago, a trio of part-time thugs, kidnappings, a tree-climbing tortoise and a dog-flap with a story of its own, and it becomes apparent that a few white lies (and custard creams) between friends are the least of Liz’s problems. 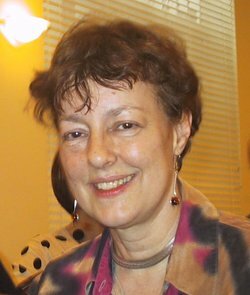 Ferne Tollivera is on a mission. Now that Sparrow, her ward, has reached nine years of age, she reckons he needs a male role model in his life. With typical efficiency she sets about finding a father-figure by drawing up a series of checklists for each candidate, and following a strict protocol for interviewing them. 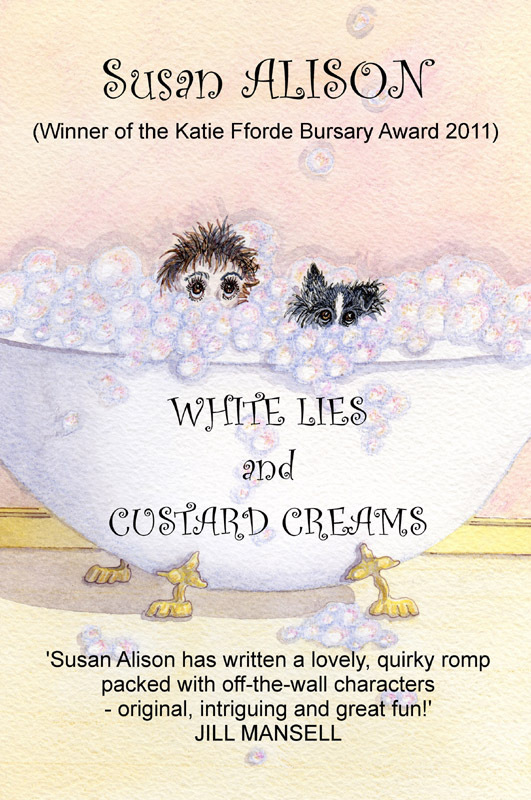 …except maybe a saboteur out to wreck her business; drunken neighbours; her unfortunate past from which it is so difficult to escape; her estranged mother; long-lost sister; and her Jack Russell, Merrie, who is not above galloping over and nipping any prospective role models she thinks Will Not Do. Stephanie Lawry has an unsuitable fiance, claustrophobia, and a disquieting rash… Jack Redmond tries hard to be a good father to his children despite his ex-wife’s attitude problem, and his mistakenly-gained drunken-perv reputation. Add in Steph’s bolshie parents, Jack’s too-bright children, an old lover, a couple of rescued dogs, and a manky polar bear, and it’s no wonder the games people play get out of hand. Will Steph learn the rules of the relationship game in time to win Jack, or are the stakes too high? 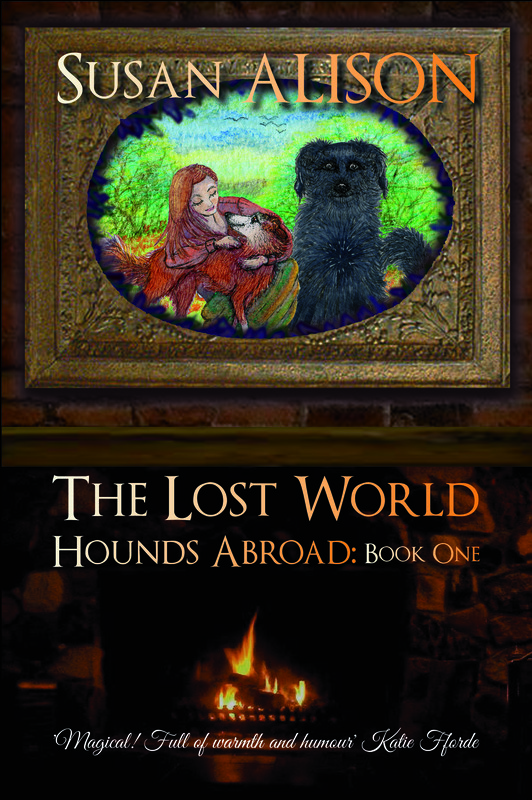 Lily’s life was dog-free and uneventful until one night when it became absolutely the reverse. 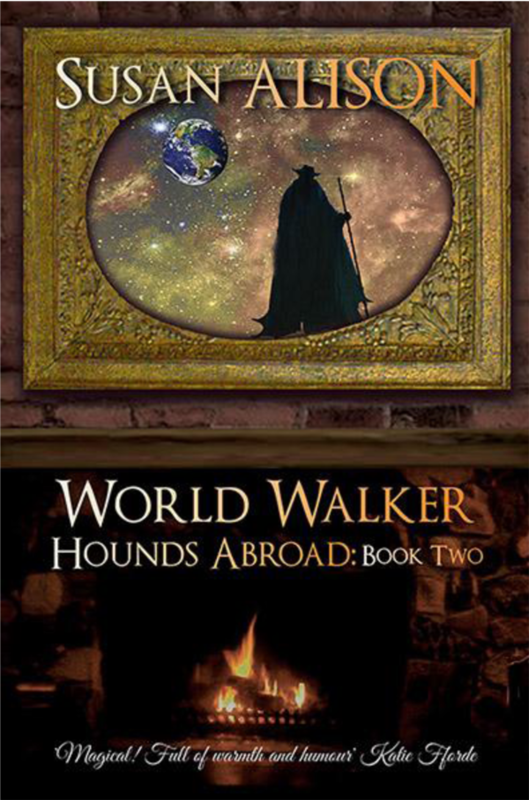 That same night Matt Lannings was reluctantly drawn into the fantastical scenario that Lily’s life had become – the only thing was that Lily believed she’d been chosen to save another world in another universe – and Matt didn’t. Matt didn’t believe any of it! Of course, the Queen’s Jubilee AND the London Olympics in the same year begs for combination – hence – The Corgi Games – in which Welsh Corgi dogs engage in various forms of sport (including sack racing) in their usual stylish and winning way. In rhyme. Natch. All the illustrations throughout ‘The Corgi Games’ book are in full colour. 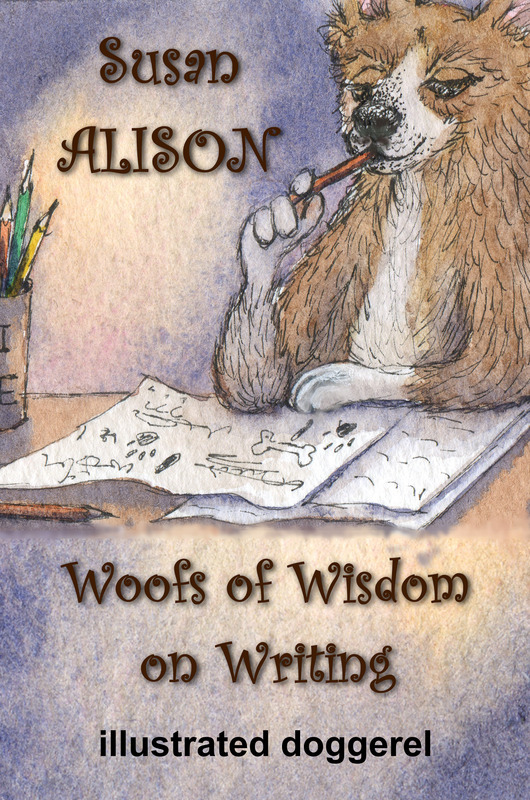 This book has been dictated to me (Susan Alison) by CorgiScribe so that I can translate his woofings into Hoomun. (I would never call my own words ‘wisdom’, but CorgiScribe has no such qualms). There are 47 pictures (from my paintings) over 90 pages in this book. 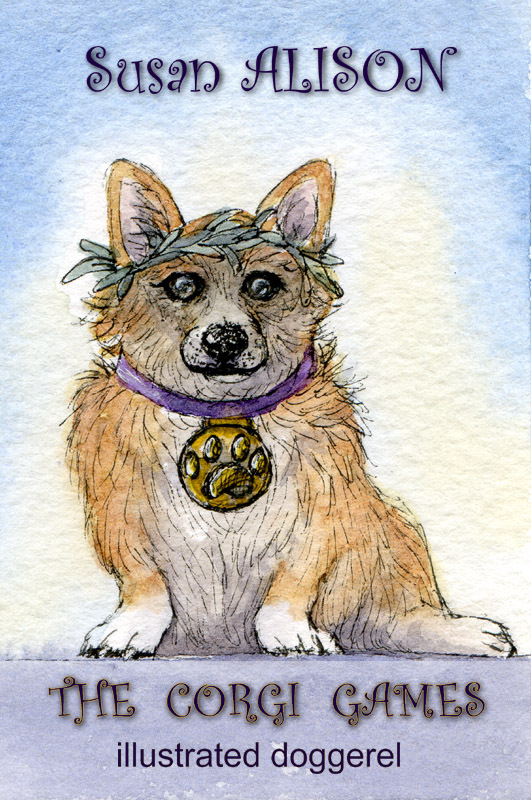 (‘The Corgi Games’ has 22 pics over 45 pages.) 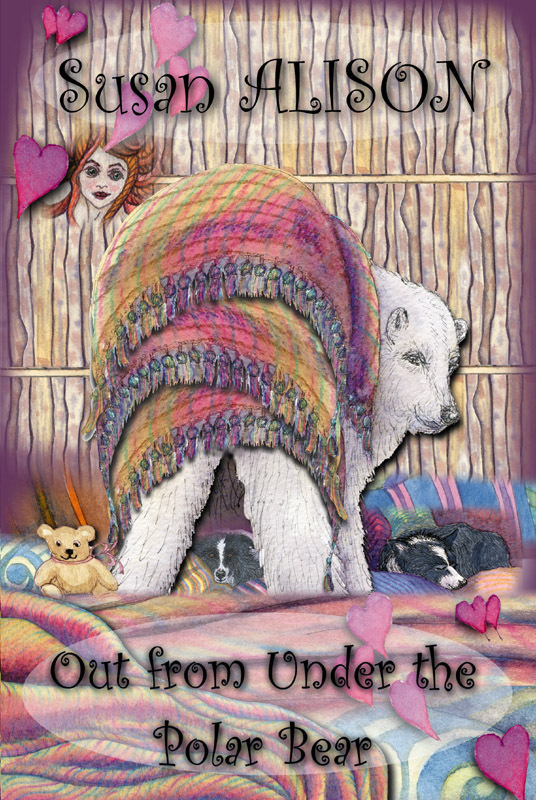 The illustrations throughout the ebook and paperback are in full colour. We feel the need to say, too, that there is much mention of ‘rears’ and ‘butts’ in this book – they’re an obsession of CorgiScribe’s. Understandably. 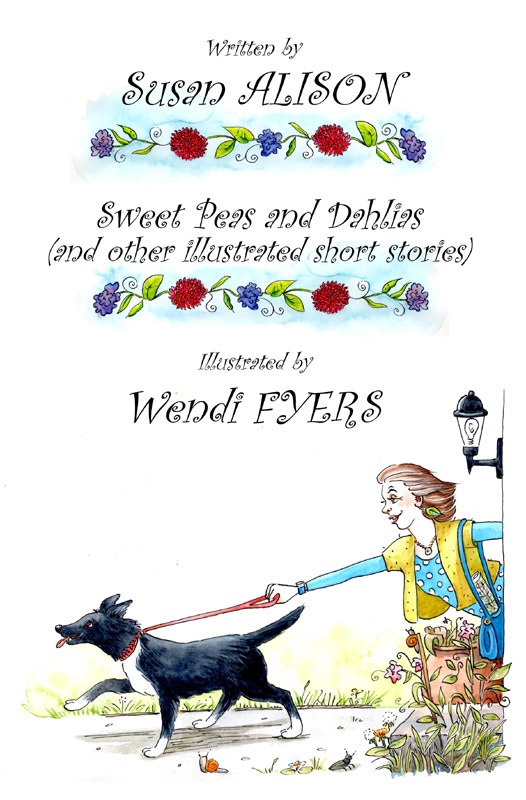 Sweet Peas and Dahlias (and other illustrated short stories) is a petite volume of five stories just right for reading in a spare moment. 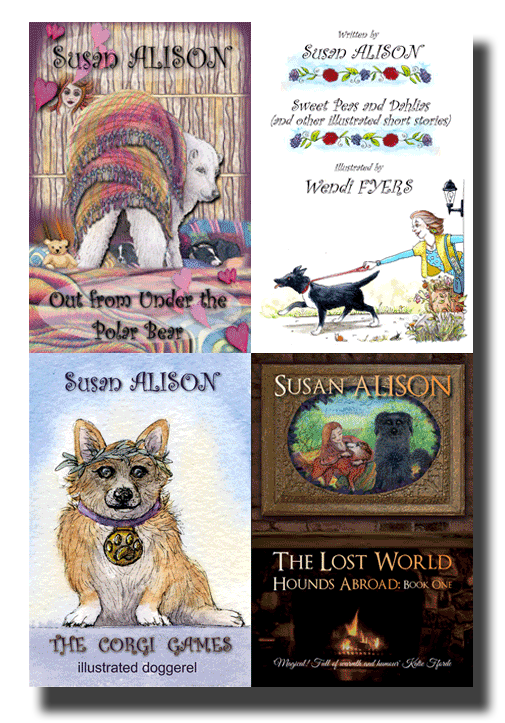 Take a break – put your feet up – have a laugh, or an ahhhhhh, or a surprise at the twist in the tail of the tale! 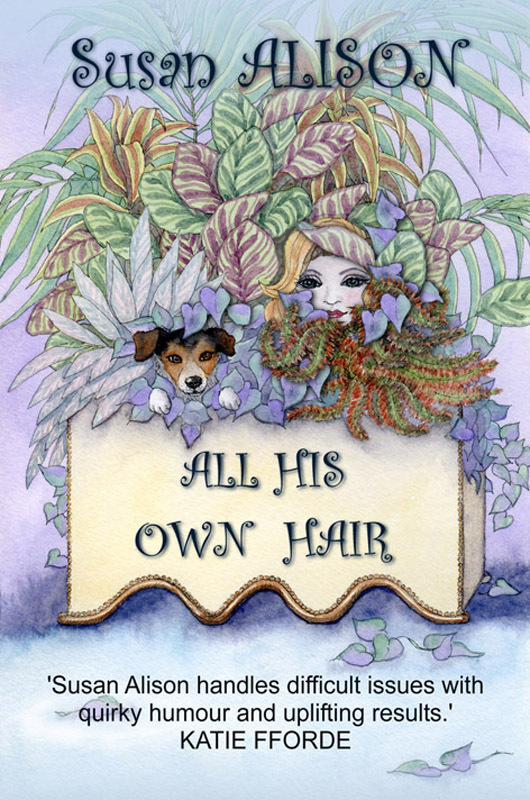 The illustrations have been especially commissioned from the talented Wendi Fyers to add another dimension to your reading pleasure. Old lovers meet up in Sweet Peas and Dahlias – is their meeting a coincidence or is it brought about by other interested parties? Such betrayal in Gotcha! How can it possibly be lived down – will Mo ever forgive him? Will Roger’s proposal In ‘The Proposition’ be considered, or contemptuously thrown back at him? In ‘He can’t help it!’ – what are June and Shirley cackling about so riotously? – imagination boggles! Honestly – it’s unbelievable that Margaret’s aired their dirty linen in public!!! No wonder the letter is written under a pseudonym in ‘Yours Worriedly’.